Supplies of free range eggs increased by nearly 11 per cent last year, with the industry again warning about the threat of over-production. The number of free range eggs passing through UK packing stations in 2018 surged to 16.1 million cases, according to figures just released by Defra. The new figures show an increase of nearly 1.6 million on the 14.5 million cases packed during 2017. This was an increase of 10.72 per cent year-on-year and is further evidence that free range egg production has been outstripping the increase in demand for the eggs. At the beginning of this year, Robert Gooch, chief executive of the British Free Range Egg Producers Association (BFREPA), again warned about the threat to the market from continuing over-production. “Between November 2017 and November 2018 we saw an extra three million free range layers coming into the system,” said Mr Gooch, “there is still too much capacity coming into free range. The latest figures released by Defra show that free range egg supplies were still increasing in the final quarter of 2018. Between October and the end of December the number of free range eggs passing through UK packing stations was 4.1 million cases – an increase of 392,000 on the 3.7 million cases packed in the final quarter of 2017. This was an increase of 10.59 per cent. The latest figures were released as another packing company warned that the size of the national flock was likely to continue increasing. Demand for free range eggs has, indeed, been increasing, with latest Kantar figures showing that demand is up by 3.8 per cent. However, Robert Gooch has warned that the increase in demand has been outstripped by the increase in supplies. During BFREPA's annual conference in October, he said that, whilst demand for free range eggs was growing at three or four per cent each year, supplies were increasing by 10 per cent, as new producers moved into the industry and existing producers expanded their units. He said this was 'unsustainable'. He said that a tough summer had seen farm gate prices of free range eggs fall because of the oversupply of free range eggs whilst at the same time drought conditions had increased feed bills by 50 per cent for some producers. At the beginning of this year he said: “BFREPA has been alerting members about this for the last two years, but all we can do is let members know what is happening so that they can make decisions based on the data we have,” he said. “Our advice is that producers should think very hard before expanding production, given that the market is already in oversupply. They should certainly not be expanding without having a contract with a packer that they are happy with,” he said. Bird Brothers said in its annual report that it expected to pack nearly 200 million eggs during the next financial year. In the 12 months to the end of April 2018, the company’s turnover increased from £11.2 million to £13.3 million. Pre-tax profit surged from £104,680 in 2017 to £842,400 in 2018. 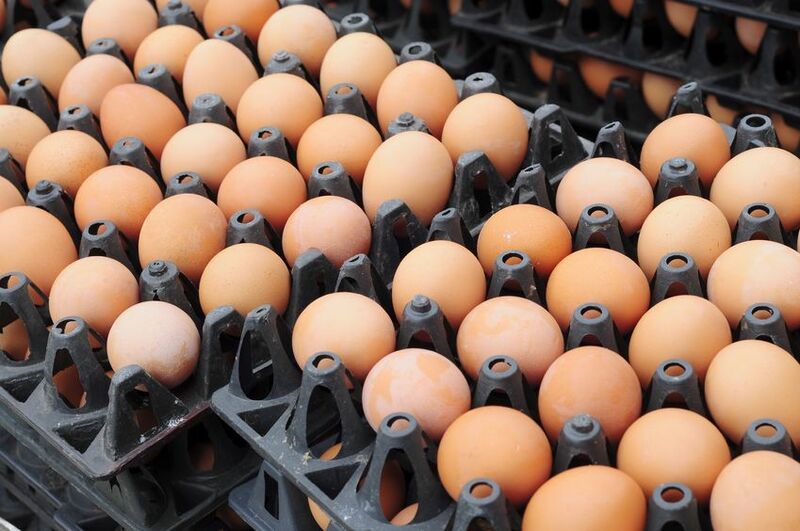 The latest Defra figures show that nearly 31 million cases of eggs from all types of production were packed in UK packing stations in 2018 – up from 29.9 million during the previous year. The number of enriched cage eggs fell from 14.4 million to 13.7 million cases. Barn egg numbers increased from 354,000 to 440,000 cases and organic numbers from 710,000 to 769,000 cases. In the fourth quarter of 2018 7.9 million cases of eggs from all types of production were packed in UK egg packing stations. This was an increase of five per cent on the fourth quarter in 2017 and a 2.4 per cent increase on quarter three in 2018. According to the Defra report, the average UK farm gate egg price through the fourth quarter of 2018 was 69.8 pence per dozen - a 0.6 per cent increase on quarter three of 2018 and a 0.3 per cent decrease on the same quarter in 2017. However, prices paid for free range eggs were down against both the third quarter of 2018 and the fourth quarter of 2017. The average price paid for a dozen free range eggs in the fourth quarter of 2018 was 80.9 pence compared with 82.4 pence in the third quarter and 81.2 pence in the fourth quarter of 2017. The number of eggs bought by UK egg processors in the final quarter of 2018 amounted to 1.1 million cases (equating to 25.0 thousand tonnes) - an increase of 3.2 per cent on the same period in 2017. Liquid egg accounted for 66 per cent of the total production in the fourth quarter. Total production was up by 2.2 per cent in the fourth quarter of 2018 compared to the same quarter last year. The Defra report included import and export figures for November 2018. They showed that imports of shell eggs amounted to 129,000 cases - a 73 per cent increase on the same period last year. Imports of egg products were down 15 per cent at 320,000 cases compared to November 2017. Shell egg export figures for November 2018 amounted to 58,000 cases – an increase of 153 per cent compared to the same period in 2017, whilst egg product exports were 12,000 cases – an increase of 76 per cent.